Celebrating the love! 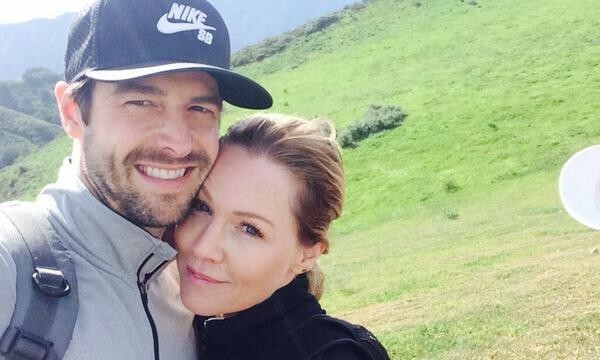 According to People.com, Jennie Garth and Dave Abrams are in the midst of a new celebrity engagement, and they cannot get enough of each other. Abrams’ rep stated, “Dave had been working on this for months, and really wanted to plan something special for her around her birthday and make it perfect.” The celebrity engagement came as no surprise as the couple have been in a relationship and love since last fall. Mark another celebrity engagement down in the books! What are some ways to surprise your partner with a special marriage proposal? 1. Lead them away from the trail: If you’ve been together for awhile your partner might be expecting a proposal any day now which really throws off any element of surprise. So drop false hints about a big “date” in the future or making the next upcoming holiday “one to remember.” This way when you take your partner to a nice dinner or a trip for two they won’t suspect a thing. 2. Everyday extraordinary: Do you have a favorite restaurant or a morning coffee hot spot that you frequent together? Try to make these favorite spots the place for one of your greatest memories. Make a somewhat mundane everyday activity extraordinary. All it takes is some roses and maybe a flash mob, the sky is the limit! 3. Document it: Make sure whatever the surprise is that you get it on camera. The surprise and the nerves will have you and your partner probably freaking out so get a third party to make the memory last forever. Did you have special engagement moment? Share with us below!